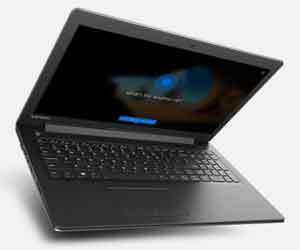 The IdeaPad series of laptops have long been a staple of the Lenovo products and have recently launched a full line of IdeaPad laptops for any computing need. They range from the IdeaPad Legion Y extreme gaming laptop down to the IdeaPad 100 low end everyday computing laptop. The in between models are the 300 series. They have a broad range of high performance laptops that fit into their own category. Gaming laptops are another Lenovo specialty. Lenovo often offers deals on these laptops in the form of instant discounts or eCoupon codes that can save you hundreds of dollars on your purchase. The promotions are below. The IdeaPad series of laptops offer a wide variety of power and styles to fit just about any personal computing need and budget. Browse the deals below to see if you can find a deal that is right for you to save some money on your purchase. Compare the deals for the IdeaPad 300 series affordable everyday use laptop with up to the 8th Gen Intel Core i7 processor, 8GB memory, Intel HD graphics and a 1TB hard drive, Deals Start at $296! Buy the IdeaPad 100 series laptop with up to the 8th Gen Intel Core i7 processor, 8GB memory and a 1TB hard drive, Deals Start at $179! The IdeaPad 100 is a low-end laptop that is intended for use as a personal computer for basic tasks like web browsing, emails, Facebook and Twitter updates, homework and any other basic task that may be needed. Really not much special about this notebook but it is perfect for a basic PC at an extremely affordable price. The IdeaPad 300 steps things up a notch regarding style and performance and still being quite affordable. These come in 14” and 15” sizes and can be configured with the latest Generation of Intel© Core™ processors, up to 8GB memory and a 1TB hard drive. Even with a standard configuration, it is a solid and reliable everyday use and productive laptop.